The Missouri Honey Youth Ambassador shall act as an official spokesperson for the Missouri State Beekeepers Association, a non-profit organization serving Missouri beekeepers, farmers, gardeners, and consumers for over a century. The Missouri Honey Youth Ambassador is a year-round public relations, promotion, and advertising representative of the Missouri honey and beekeeping industry whether the ambassador is a single hive hobbyist, commercial producer or pollinator. The Ambassador will promote the beekeeping industry, honey, honey bee products, the importance of honey bee pollination, and of course educate the public about the fascinating facts of our State Insect: The honey bee. Any young man or woman who has reached their 18th birthday by January 1 (of representation year) and not passed their 24th birthday by January 1 (of representation year) and who is properly sponsored may apply. Promotion is the goal of the Youth Ambassador program and if a candidate qualifies, they may compete more than once. The Missouri Honey Junior Ambassador shall abide by the same rules. If for any reason the Missouri Honey Youth Ambassador is unable to complete their reign as Youth Ambassador, The Missouri Honey Junior Ambassador may, if desired, be promoted to the Honey Youth Ambassador Position. The Missouri Honey Junior Ambassador may compete to become the Missouri Honey Youth Ambassador the following year with the same guidelines as the Youth Ambassador. Any local honey producing or beekeeping organization, any honey producer, any honey packer, or interested organization may sponsor a candidate. Sponsor shall provide a letter of recommendation for the contestant. Sponsor shall make sure their contestant has basic beekeeping knowledge and is prepared to be the Missouri Honey Youth Ambassador. 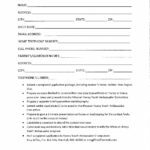 Submit a completed application package, including sponsor’s letter, no later than August 31st. Prepare an essay (limited to no more than one page typewritten) on honey or honey promotion ideas and present it to the Missouri Honey Youth Ambassador Committee. Prepare a separate brief typewritten autobiography. Submit wallet sized photo(s) to be used by the Missouri Honey Youth Ambassador Committee. Candidate is expected to attend the contest interview. The applicant must have a valid driver’s license and reliable transportation. Contestant may not hold any other title that would interfere with the Missouri Honey Youth Ambassador program. Amy Giffen, P.O. Box 541, Marshall, MO 65340 or Click Here to Email Amy Giffen. Provide a key contact person; the Missouri State Honey Youth Ambassador Chairperson. Provide a panel of not less than three persons to judge the Missouri Honey Youth Ambassador contest. Furnish the Missouri Honey Youth Ambassador with attire designating the Missouri Honey Youth Ambassador’s title and year. Provide financial support for the Missouri Honey Youth Ambassador’s public appearances as approved by the association. Select a State Honey Youth Ambassador Committee who will assist in scheduling promotions, providing expectations and help with any needed training for the reigning Missouri Honey Youth Ambassador. Sponsor the successful Missouri Honey Youth Ambassador in the American Honey Queen contest, including expenses, if applicable. All events to be scheduled through the Honey Youth Ambassador Chairperson. Candidates will be judged on general communication skills, public speaking ability, extemporaneous presentation, knowledge of subject, poise and confidence in dealing with people, and /or any other criteria outlined by the Missouri Honey Youth Ambassador Committee. 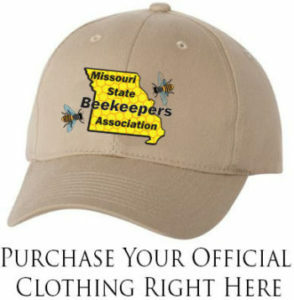 Professional attire is required for all events of the Missouri Honey Youth Ambassador. The successful candidate will be dressed in clothes appropriate for the occasion; they will wear their provided attire at all promotional events. The successful candidate must conduct themselves professionally throughout their reign and must abide by the rules set forth by the Missouri Honey Youth Ambassador Committee. 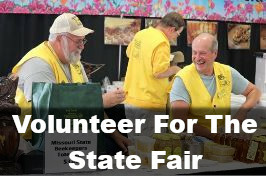 The successful candidate must attend the spring and fall state conference and four days at the Missouri State Fair to assist at the Missouri State Beekeepers Association’s booth. In addition to the above required events, there may be other promotional activities where the Youth Ambassador’s presence is requested based on her/his availability. The successful candidate must prepare a Youth Ambassador’s brochure including recipes within 30 days of receiving their tiara/crown and banner. Guidance to be provided by the Youth Ambassador Committee. The successful candidate will maintain a scrapbook of the Honey Youth Ambassador activities. The successful candidate must prepare and submit, to the Youth Ambassador Chairperson, a bi-monthly report for the Missouri State Beekeepers Association’s newsletter. The successful candidate must present a monthly itemized statement with receipts of all previously approved expenditures to the Honey Youth Ambassador Chairperson, i.e. 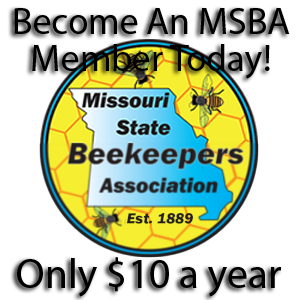 Transportation to and from functions representing the Missouri State Beekeepers Association, stationery, postage, scrapbook expense, food and lodging following participation in sanctioned activities representing the Missouri State Beekeepers. The successful candidate must be single and remain so for one year following their coronation. If the ambassador marries, they forfeit their title, responsibility, and benefits, i.e. scholarship, etc. The successful candidate’s reign will begin with coronation at the fall conference and will continue through the following fall conference. The successful candidate will receive the scholarship at the conclusion of their reign.